I was recently at Frank Foster selecting two new blue shirts and had a difficult time choosing the blues that I had in mind. Blue is one of the most popular and useful colours for shirts since it can be dressed up or dressed down and pairs well with most other colours. 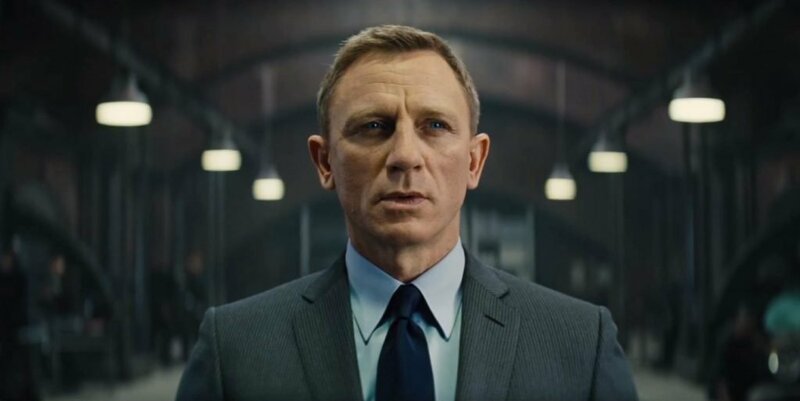 James Bond wears more shirts in blue than in any other colour for these and other reasons. Picking the right blues, however, is more complicated than it would seem at first, and I found it challenging to choose the ideal blues for my complexion because there are so many options. The hue—the place on the colour spectrum—of any given blue is one of the most defining factors of the colour and an essential factor when coordinating different blues. Blue shirtings range from green-blues to violet-blues, but the green or violet hues may only come out when compared to a blue elsewhere on the spectrum. For classic light blue shirtings, the green side of the spectrum is ice blue and the violet side of the spectrum is periwinkle. Most people look fine in blues across the spectrum, but people with warm complexions tend to look better in green-blues while people with cool complexions may look better in violet-blues. Green-blues often look brighter or lighter while violet-blues may look softer or darker. 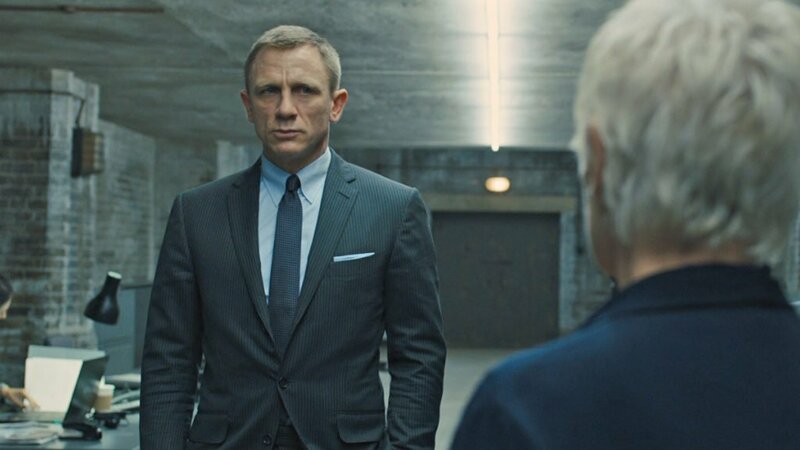 Daniel Craig wearing a sky blue shirt from Tom Ford in Spectre. Sky blue leans towards green on the colour spectrum. When choosing blue shirtings, it is important to look at them against your skin. Because shirts are worn up against your face, it is more important with shirts than with any other piece of clothing that they complement your complexion. Larger swatches can help more with determining colours than smaller swatches. It is crucial to look at shirtings outside as well because natural light will show their true colours. Compare swatches to shirts your favourite blue shirts to help compare colours. The value—lightness or darkness—is what we first think of when looking at a certain colour. Lighter blue shirts are dressier and more traditional than darker blue shirts, which look more modern and can be more easily dressed down. Because men’s shirts are traditionally worn in light colours, what is considered dark blue for a shirt is lighter than a dark blue for a suit. The colour names of semi-solid shirts can also be misleading because the shirts often appear lighter than the colour they are named with. A “navy” semi-solid or striped shirt is usually made of navy and white, thus it will look much lighter than navy because it has white mixed in. It is still called “navy” because that’s the shade of blue it is made with. The saturation, or colourfulness, of the blue is another important factor when comparing blues. More saturated blues are more vivid while less saturated blues are softer and look more grey. More saturated blues look better on people with warmer or high-contrast complexions. People with a cool, low-contrast complexion should wear lighter, less saturated blues. Light green-blues are often more saturated than light violet-blues because green is a more luminous colour than violet. Men’s formal shirts are typically not found in fully saturated blues, and a strong saturation often looks unsophisticated or cheap in a shirt. Blues are often mixed with white in shirtings to give them a softer look. Many blue shirtings are a mixture of blue and white. White mixed with blue gives a much different effect than a solid blue does. If the mixture is fine enough, the white and blue blend together to make a soft pastel. When the white and the blue appear more separated from each other, the blue looks stronger. In fine weaves where the blue and white are not separated, the shirting is labelled with the name of the blended blend and white colour. When the blue and white appear more separated, the shirt is usually labelled with the name of the shade of blue alone. Cornflower Blue: A vivid medium-light blue like the colour of cornflower petals. Dark Blue: A dark blue, usually with a violet cast to make it look deeper. French Blue: A dark blue with a green cast, meant to evoke the colour of the Mediterranean Sea. Ice Blue: A pale cyan (a colour halfway between green and blue), meant to evoke the cool colour of ice. Iris: A medium blue with a violet cast. Light Blue: May describe any light tint of blue, but light blues often have a slight green cast to give them a brighter colour. This colour is also the same as light sky blue and baby blue. This is the most common form of the lighter blue shirtings. Mid Blue: A muted medium blue, which sometimes may have a green cast. In comparison to a true medium blue, mid blue shirtings are usually lighter and less saturated. Pale Blue: A very light blue with low saturation. Pale blues tend to lean towards violet on the spectrum to get a softer look. Sky Blue: A medium-light green-blue like the colour of the sky. The above definitions relate to commonly used colours for shirts. Some shirt brands may apply these names to different colours or may use other names for these colours. Most shirt brands will offer only a few different shades of blue in a collection, and even bespoke shirtmakers may not have the exact shade of blue you have in mind. 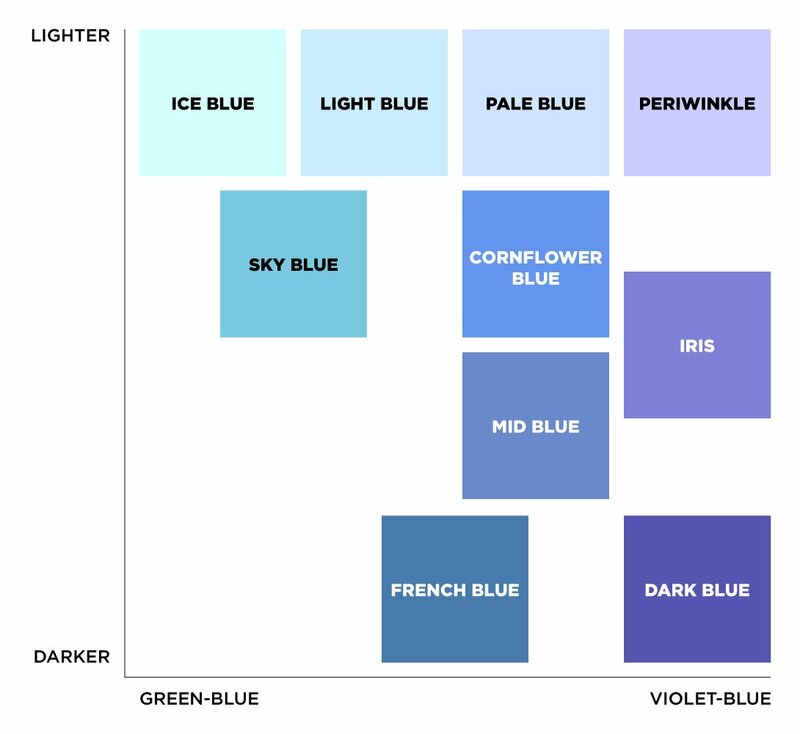 Kudos to your colour grid, I now know to describe my herringbone blue (mix of white and mid blue threads) shirt as periwinkle and that my personal favourite Hemrajani blue shirt is actually light blue, especially the one by Hemrajani. Do you recommend any good online MTM shirts with cotton in pale blue or mid blue? Great post Matt, and appreciate the visual breakdown. What blue would you consider the dress shirt worn by Brosnan in Bilbao? That’s around a mid blue. Matt, you should get a decoration for providing us with such great articles. There, I have said it. Keep them coming! For an idea, I was wondering if you’d consider an article on the YELLOW cocktail cuff shirt that Bond wore in THUNDERBALL. 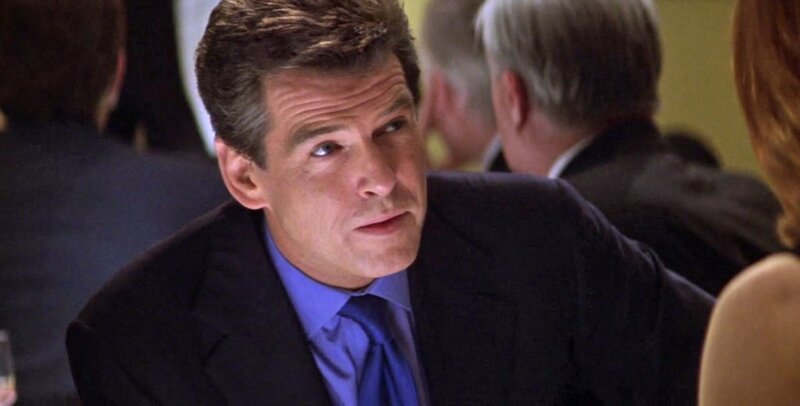 You’ve done several cocktail cuff shirt articles, to include the pink linen one but nothing has been documented on the yellow turnback cuff shirt he wore in the 4th Bond installment. 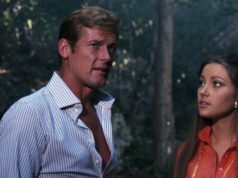 I wrote articles about the brown suit in Thunderball with which he wears the cream shirt and an article on ecru and cream shirts. You da’ man! THANKS Matt. Matt , where does Royal blue fit into the spectrum ? It’s like French blue but a bit darker and more saturated. What kind of blue does bb king wear when he plays the blues ? The “dark blue” shirt I mentioned in the article represents the colour I think of when I think of the blues. It’s dark, rich and passionate. Dark blues on the violet side of the spectrum fit the definition. Green-blues and lighter blues usually look brighter and happier. Is another shade of blue,very elegant in my opinion. Is a very pale grey-bluish,that in Italy is called “grigio-celeste”. I wonder if Brooks Brothers’ Original Polo Button-Down Oxford in Blue would qualify as that. Like their Oxford in Pink which is distinctive for being very saturated, this blue is distinct for being desaturated with a grey hue. In your opinion which blue would be classified as “Bond Essential” ? Light blue or pale blue are the most essential. 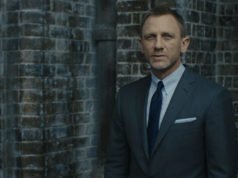 So that supposed bond shirt that turnbull asser and sells as part of their legends collection would be a light blue? or a pale blue? That’s a light blue shirt. Terrific! And timely. i wonder how much hair color plays a part. I’ve grayed early and completely and I’ve noticed that blues that once worked may no longer be a choice, especially against my light complexion . Hair colour plays a role, but certain hair colours go naturally with certain skin tones. People with grey hair generally look best with stronger colours to balance the grey. You can certainly still wear blue shirts, but medium blues shirts may be better than light blue. When you have a light complexion, if it’s cool you’ll want muted mid blues while if it’s warm you’ll want more vivid mid blues. Hi Matt! I am waiting this article and my curiosity has been satisfied. 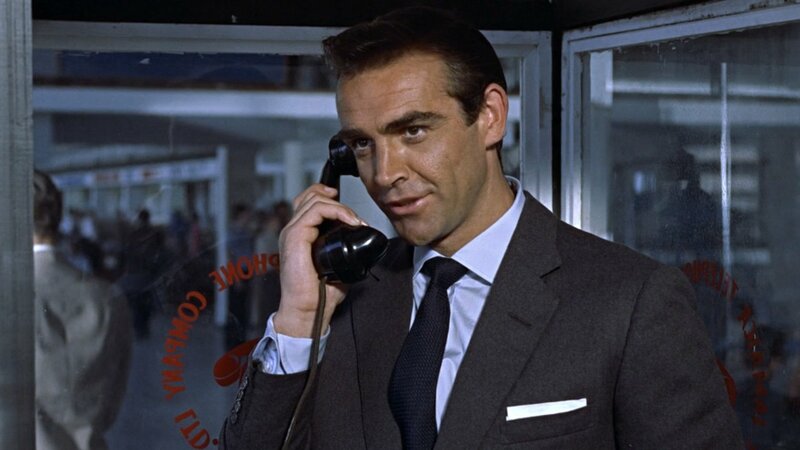 James Bond is always a point of reference for combinations. I want to ask you for my soft autumn complexion, which are the best shades of blue and which ones to avoid (obviously if there are any). Autumn complexions fare worst with classic men’s style. Blues and greys are the enemy of the autumn complexion, but there are some choices. The best shades of blue for an autumn complexion are deep green blues (like teal) and violet blues (like iris). Wear blues on the outer ends of the blue spectrum, not in the middle. And avoid light and greyed colours. 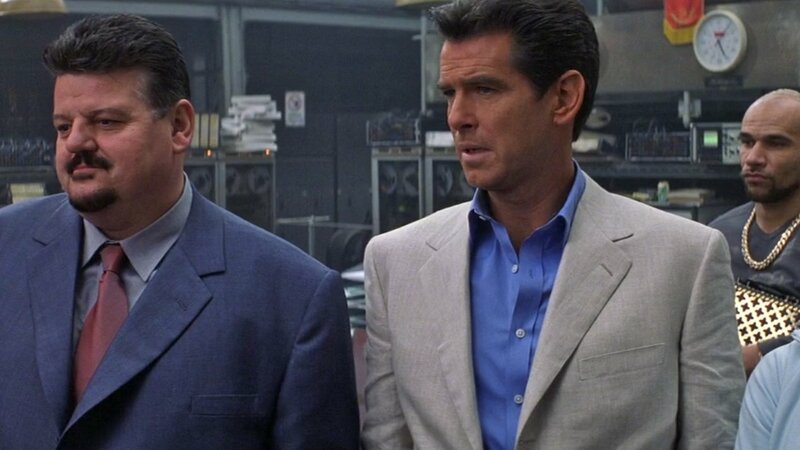 in Fleming’s books, when Bond wears his black and white houndstooth golfing suit, he pairs it to a “dark blue” Sea Island cotton shirt. What nuance of blue do you think it is meant to be? It’s probably a mid blue or French blue he’s talking about. Nice description! I rather like blue shirts, so this article is exceptionally helpful. I did have one question though. 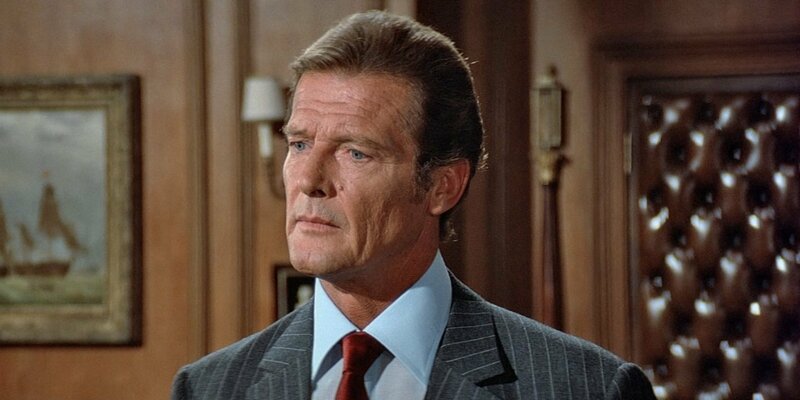 Which color would you characterize Roger Moore’s Climbing shirt in For Your Eyes Only? I would personally say Dark Blue, but it doesn’t have much of a violet cast to it. Yes, the climbing shirt is dark blue. It’s a fairly neutral blue, with neither a green nor purple cast. It’s s cotton jersey, just in case you’re thinking of having one made. First thanks for the tip on buttons for my midnight blue dinner suit, I received some from your connection and they were perfect. 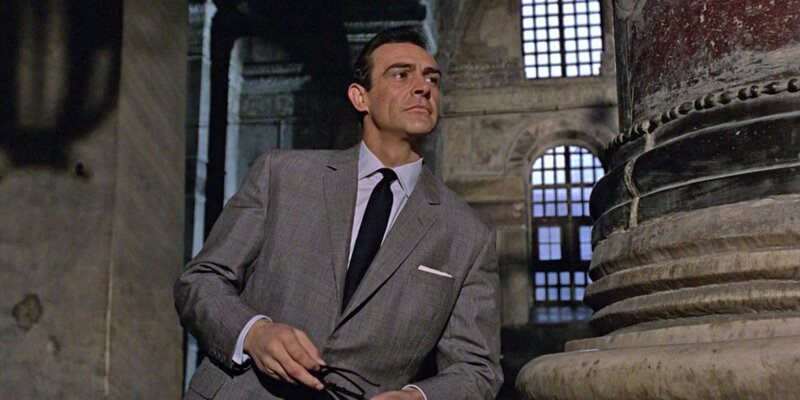 I’m just watching Goldfinger now and I wonder if you ever did a post on the suits of Goldfinger’s hoods’ convention. At a glance, aside from G’s country tweed and tattersall there appears to be among the hoods ivy sack, single linked button, one, two and three button suits, triple patch pockets, patch and flap etc – an interesting set of contrasting get-ups. I’m glad the buttons worked out well. Someone must have had a fun time dressing the gangsters. It’s a shame we don’t see more of them. I’ve considered doing a post on Mr Solo as he’s the only one there who does anything, but I still didn’t think him to be interesting enough. 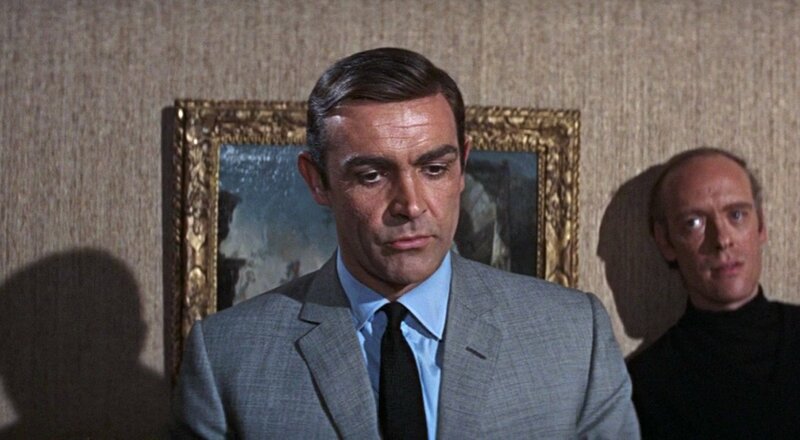 Does James Bond ever wear a tie bar? I don’t recall him ever wearing one. Sean Connery wears them in other 1960s roles. Which is the appropriate blue to wear when one is wearing a blazer? Say in the style of sean connery. Anything from medium blue up. Matt – is this an example of an iris blue? That’s about halfway between the mid blue and iris blue on my colour chart.